The left has lost it with Trump Derangement Syndrome (TDS). They melt down and scream hysterically anytime Trump does anything. But with their Russia collusion allegations, they’ve taken their craziness to a whole new level. Democrats claim Trump is a traitor and has committed treason. Some have gone so far into the deep end of the TDS pool they’ve called him a Kremlin agent. But the truth is no President in recent history has been as hard on Russia as President Trump. 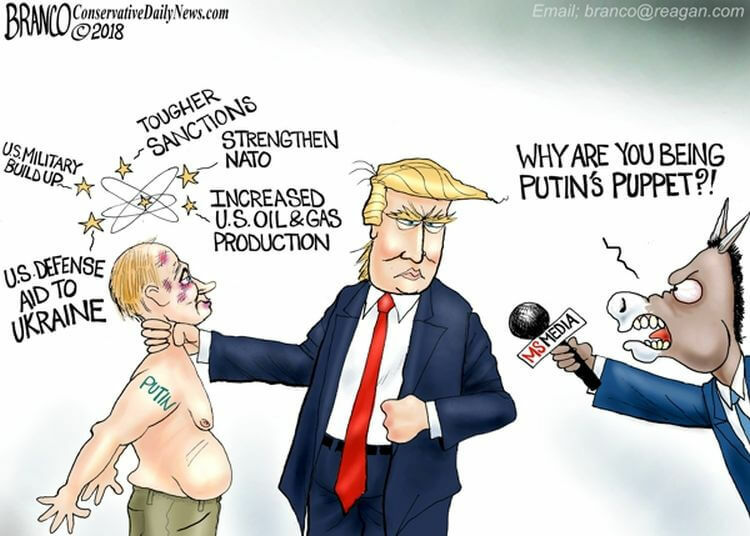 Maybe it’s the Democrats and the mainstream media that is REALLY colluding with the Russians to take down President Trump and anyone who seriously thinks a Democrat president would be tougher than the one we have has straws for brains.